Surgical affections of 29 young calves were retrospectively reviewed. The affections were broadly classified into congenital malformation and acquired ones. Congenital malformations recorded atresia ani (6), atresia ani et recti (4), meningocele (1), pervious urachus (3), congenital preputial orifice stenosis (1), growth at umbilicus (2), knuckling (4), papilloma of tail (1), Imperforate urinary meatus (3), Ocular dermoid (1). Acquired abnormalities included mandibular fracture (3). Surgical treatment for such conditions was carried out after the differential diagnosis. The development of these congenital malformations, their effect on the animal life and the different surgical interventions were discussed. PARRAH, J.D. et al. A Retrospective Study on the Surgical Affections of Young Calves. 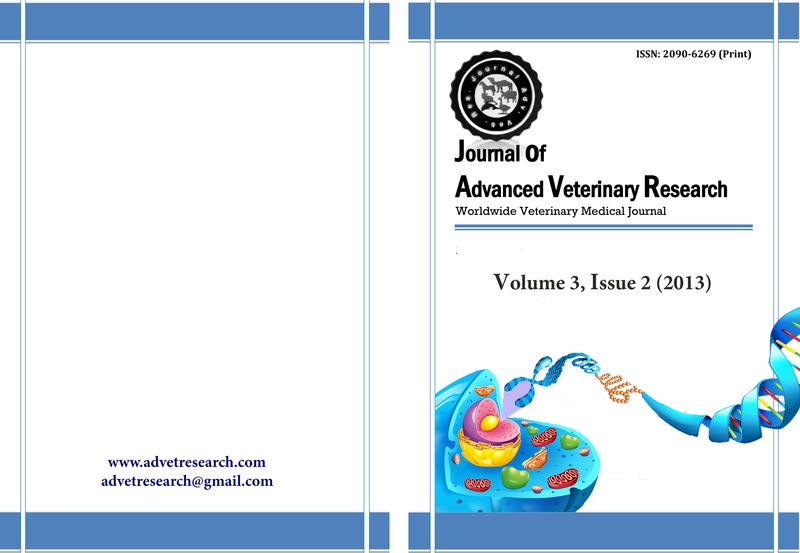 Journal of Advanced Veterinary Research, [S.l. ], v. 3, n. 2, p. 77-82, apr. 2013. ISSN 2090-6277. Available at: <https://advetresearch.com/index.php/AVR/article/view/119>. Date accessed: 24 apr. 2019.